This has been such a hard post to write which just seems ridiculous and trivial when you consider what parents around the world are going through right now. As bloggers, we really wanted to use our voice and raise awareness of the Syrian refugee crisis and would really appreciate you sparing a moment of your time to help too. Refugee children are fleeing bombs, bullets and torture in warzones, only to drown in European waters. We must stand together to stop this. The image of 3 year old Aylan on the beach will stay with me forever. It could have been us. We need to help. Four years of war has led to the worst humanitarian crisis in a generation. We simply CANNOT ignore what is going on and as human beings we need to do more. What's happening to Syria's children? *More than 10,000 children have been killed; 5.6 million children need humanitarian aid. *Inside Syria 3.5 million children have been forced from their homes. *Nearly 2 million children have fled the country and are now living in over-stretched refugee camps or villages. *10 million people do not have enough to eat. You can read more about Save The Children's Emergency Syria Appeal here. The boy from the beach was just one year younger than Jack. Save the Children state that raising awareness of the crisis is just as important as raising funds. 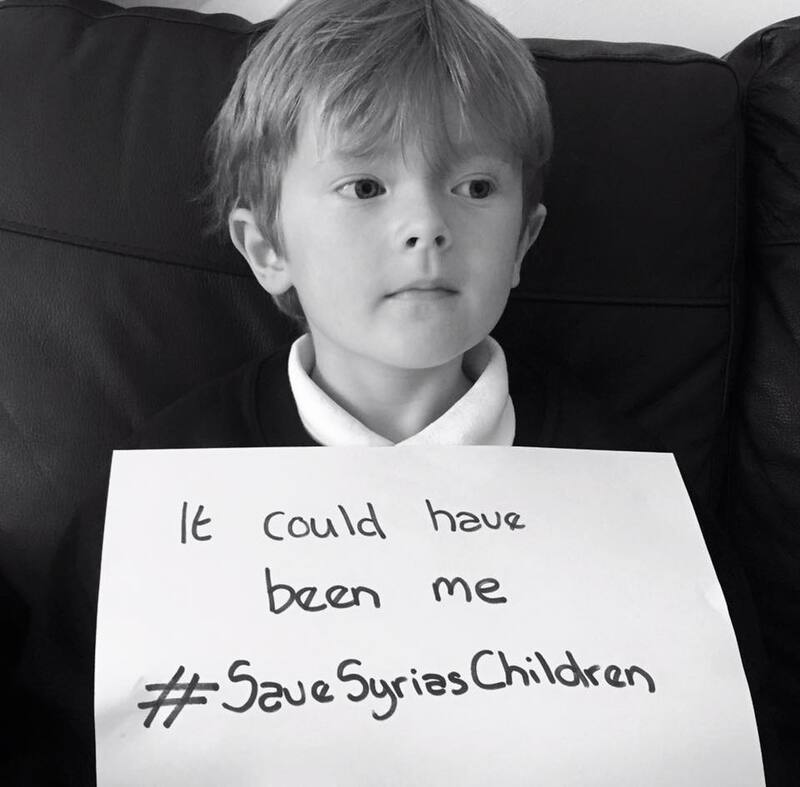 We are asking you to upload a black and white photograph (of yourself, your children or an object) with a note saying 'It could have been me/us' with #SaveSyriasChildren to your social media profiles and accounts and ask others to do the same. Can't donate? The Independent has put together a list of practical ways you can help from donating items to signing petitions and helping at grassroots. Read the full article here. The above method will donate money to Save the Children's Syria Crisis Appeal. Click here for terms and conditions. You can also donate via their website here.